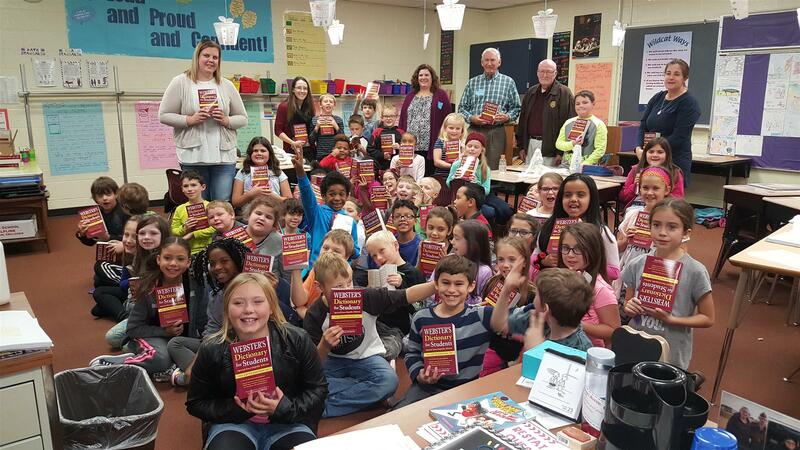 Each year Scottsville Rotary delivers dictionaries to all the third graders at TJ Connor Elementary in Scottsville and School #34 in Rochester. The dictionaries are the student's personal copy and theirs to keep. 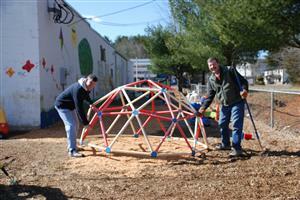 This project is appreciated by the students, teachers, and school personnel. A GREAT PROJECT!!! Joined the Greater Wheatland Area Chamber of Commerce to support and volunteer at the Parade of Lights in December. Fellowship and friendship events are a special time of fun. In September, our club hosted a Rotary Friendship Exchange group from Oregon. Special connections are made and are lasting. In January, we hosted a District Governor Elect and his wife from Australia as they were traveling to the International Assembly training event in San Diego. These are special ways to promote peace and good will while learning and bonding with others across the nation and the world. Our bi-annual “Spring Fling,” co-hosted with the Greater Wheatland Area CofC, will be held April 29th. This evening is one of our fundraising events to support the projects we take on. It is an evening of food, fellowship, wine tasting, silent auction, and music. This has been a great evening in the past, and we look forward to another stellar evening. Please join us as we support our youth and other charitable projects. Advance reservations are a must. A special event each year is our Groundhog Dinner, co-hosted with the Scottsville Lions Club. This is a nice evening out in the bleak mid-winter, a great ham dinner, and an opportunity again to support our youth: the WCHS Interact Club, and the Leadership Assets initiative. Plan to join us next February. We are now looking forward to the annual Scottsville Family Fun Fest. We enjoy providing support to the 5K race and manning the Information Table at the festival. We will again be selling wine raffle tickets. Your chance to win a case of several different wines hand selected by our favorite “wine guy,” Dave Principino. We will begin selling the raffle tickets at the Spring Fling and continue selling through the day at the summer festival. Don’t miss out. Greetings from the Scottsville Rotary Club. We are a group of individuals dedicated to serving our community, both local and worldwide. As summer winds down, and we look toward cooler, crisp days, we pause and take a look at our accomplishments this past year. April 2016, our Casino Night fundraiser, co-sponsored by the Greater Wheatland area Chamber of Commerce, was a fun night for all while raising funds to support our community. Route 383 Road Cleanup, we take on this project three times each year. Honk and wave as you go by. Each December we go Christmas Caroling at Monroe Community Hospital. We are grateful and fortunate to be joined by members of WCHS choir. The residents really enjoy this activity. Each year we provide dictionaries to all third grade students at TJ Connor and School 34 in the city. The students are always excited to receive their very own dictionary and the staff at both schools are very appreciative of this project. In February we co-hosted the annual Groundhog Dinner to support the WCHS Interact Club and Assets Initiative. It’s a great meal and a great cause. Don’t miss out next February. We always enjoy marching in the annual Memorial Day Parade. As in prior years, we support the Mid-Week Farmers Market by providing food for the shoppers and vendors. This year we served BBQ hamburgers and Sloppy Joes on three separate Wednesday evenings. Each year we award two $1,000 scholarships to WCHS graduating seniors. This year’s recipients were Abbie Berl and Elizabeth Russell. It is always a difficult decision to select only two, and this year was no exception. Congratulations Abbie & Elizabeth. Every two years, we publish the Greater Wheatland Area Business Directory. This is both a fundraiser and a community service. If you have not received your 2016-17 directory this year, please contact us and we will see that you receive one. It is a great resource for goods and services. The Scottsville Family Fun Fest is always a great occasion. Our club assists with the 5K race and staffs the Information Table while selling the “Raking in the Cash” and Wine Raffle tickets. Camp Haccamo is a District 7120 Rotary sponsored camping opportunity for children and adults with disabilities. Scottsville Rotary is a proud sponsor of Camp Haccamo. 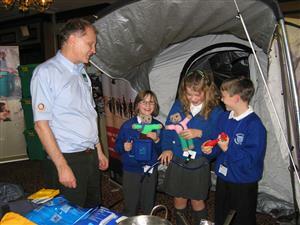 We provide financial support as well as volunteering at camping activities. Mark your calendars for April 29, 2017. This will be our Spring Fling and is always a great evening. Scottsville Rotary is hosting the Robert and Karen Chan Memorial Fund. This fund honors Bob and Karen and allows them to continue to support Rotary Exchange Students with a little extra help so students can enjoy adventures, learn, share and expand the global community well into the future. Your donation salutes Bob and Karen and continues their legacy through this memorial fund. To contribute, contact any Scottsville Rotarian or mail your donation to PO Box 85, Scottsville 14546 and mark your donation as the Chan Memorial Fund. . If you are interested in knowing more about our club and its activities, please join us at one of our regular meetings on the first and third Tuesdays of each month at the Genesee Country Inn B&B in Mumford. Meetings begin at 6:00pm with dinner followed by a program of interest to all. The second Tuesday of the month is set aside for project development or fellowship nights. The fourth Tuesday of each month, we meet upstairs at Salvatore’s Saloon for business/planning. Check our website www.scottsvillerotary.org or “Like” us on Facebook for more information. You are welcome and encouraged to attend any of our meetings. 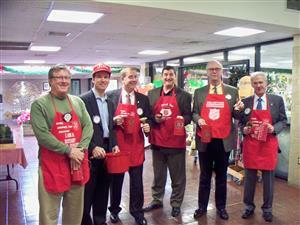 Scottsville Rotary is a group of individuals working together to improve our community and our world. Rotary International is a worldwide service organization with the motto “Service Above Self.” We as Scottsville Rotarians work toward serving our community first and then on to the community at large, largely focusing on our youth. We live by The Four Way Test in all things we think, say or do: Is it the Truth, Is it Fair to All Concerned, Will it build Goodwill and Better Friendships, and Is it Beneficial to All Concerned. We are finalizing a combined fundraiser with the Greater Wheatland area Chamber of Commerce: the Casino Night, April 9th, at the Chili Country Club. It is a great evening of food, fun and pretend gambling. Tickets are $40 and must be purchased in advance. Contact Diana Balch (889-1526) or stop by Scottsville Spirits for tickets and further information. Scottsville Rotary will soon be printing the biennial Greater Wheatland Area Business Listing. Copies of the Listing will be distributed to listed businesses and shared with the community. Contact John Kyle, 889-2481, for more information. Scottsville Rotary Services Foundation is accepting donations to the Robert and Karen Chan Rotary International Student Exchange Program Fund. Bob and Karen Chan were both members of the Scottsville Rotary Club for many years actively supporting the Student Exchange Program at the local and Rotary District level. Bob was a charter member of our club. The Fund was established in March 2016 as a memorial to Robert Earl Chan, Sr. and his wife Karen. Donations may be sent to Scottsville Rotary, PO Box 85, Scottsville, NY 14546. We are also in the planning stages of our annual wine raffle. We may change it up this year where you would receive three bottles of wine each month rather than three cases all at once. Keep looking for more information or contact Glenn Balch (330-5576).